Get 20% OFF The December Bundle – the biggest graphics pack yet. 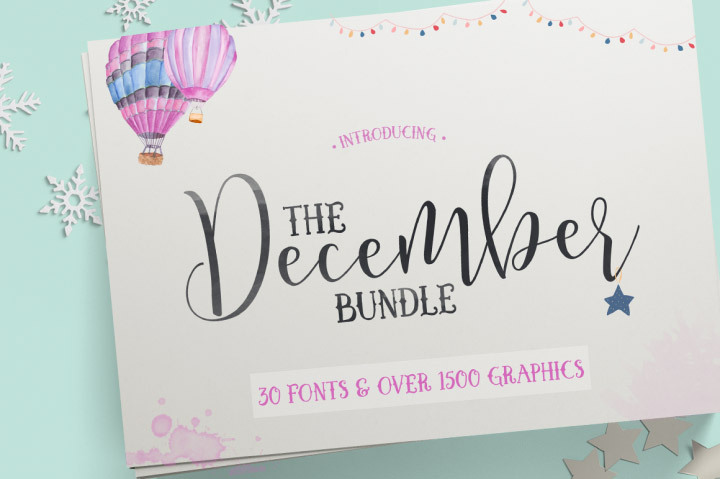 This amazing bundle includes over 1500 graphics and 30 fonts, and is already 96% OFF. With coupon code you get a further 20% off! This is awesome! You get SO many gorgeous fonts and an absolutely divine selection of clip art. Don’t miss it!